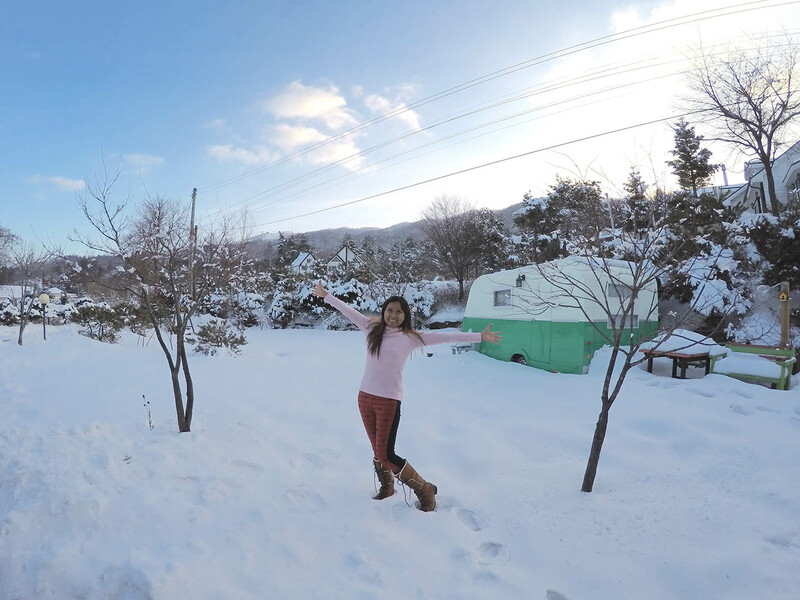 My trip to South Korea covered some part of Seoul, Pyeongchang-Gun and Jeju Island in 8 days before we fly to Taiwan and spent for another 7 days there. As usual, only both of us were in this trip. We flew from Kuala Lumpur to Incheon International Airport Via AirAsia. Total Amount MYR633.00 one way for 2 adult. Flight time was 5 hours 20 minutes. We Departed at 08:00AM, Then arrived at 3:20PM local time. 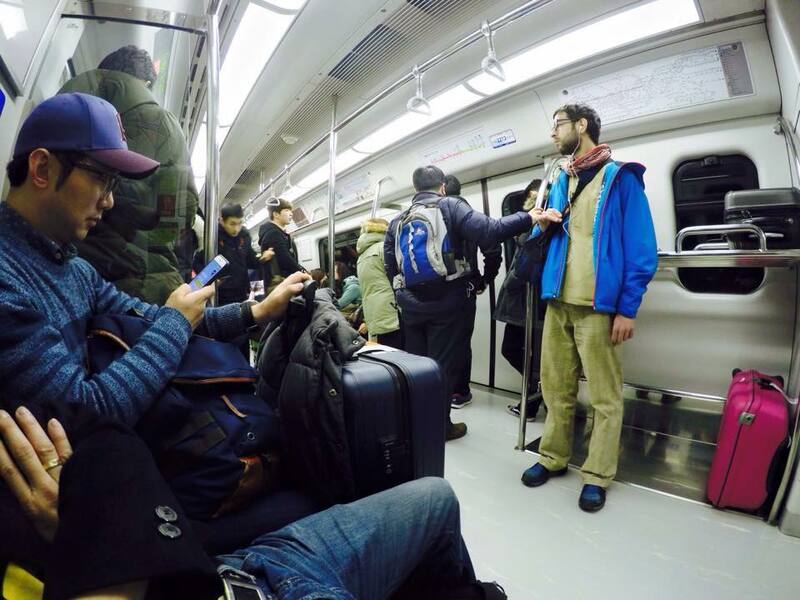 From Incheon Airport, we took train to Chungmuro station (interchange in Seoul station), cost one way 2 person was KRW9100. Train Journey was about 1Hour18M. From here, we walked about 2 minutes to Myeongdong Star Hostel. We only sleep for a night here and cost for 1 night was KRW40,000 for double room with en-suite bathroom. Its very basic and small room. There’s some smell came from the bathroom and not very comfortable at first. Since we were arrived at night and the next day was CNY, most of the shop were closed early. We had korean food nearby before checking in to the hostel. It just few step away from our hostel. Our dinner cost us KRW17,000., we had Beef and seafood Kimchi soup. Very nice eating Kimchi soup in a cold weather. End our day 1 in Seoul, it was just for traveling day and we were really exhausted. 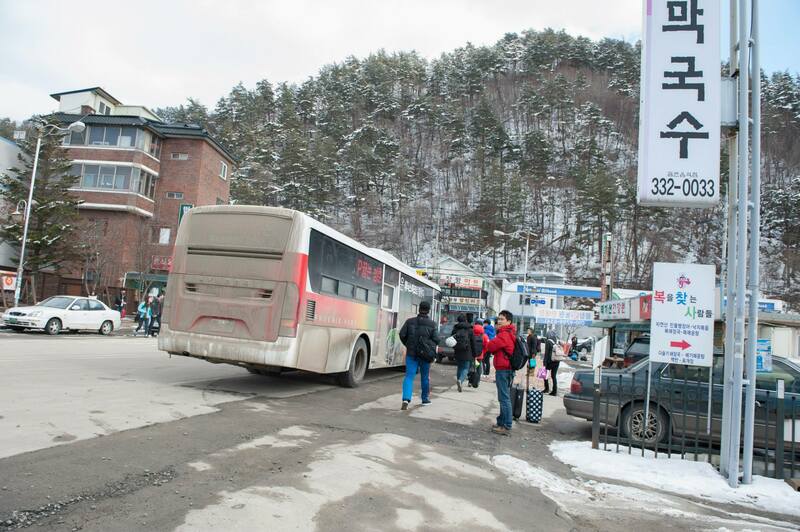 We woke up very early to catch early bus to Pyeongchang-gun (Skiing resort). We left our big luggage at the Hostel because we will come back and stay another 1 night here after our Skiing trip. We took train from Euljiro 1 station to Dong Seoul Bus Terminal, journey was about 25 min. There’s a street food served vegetarian in front of the bus terminal, we had KRW5,000 breakfast meal there. 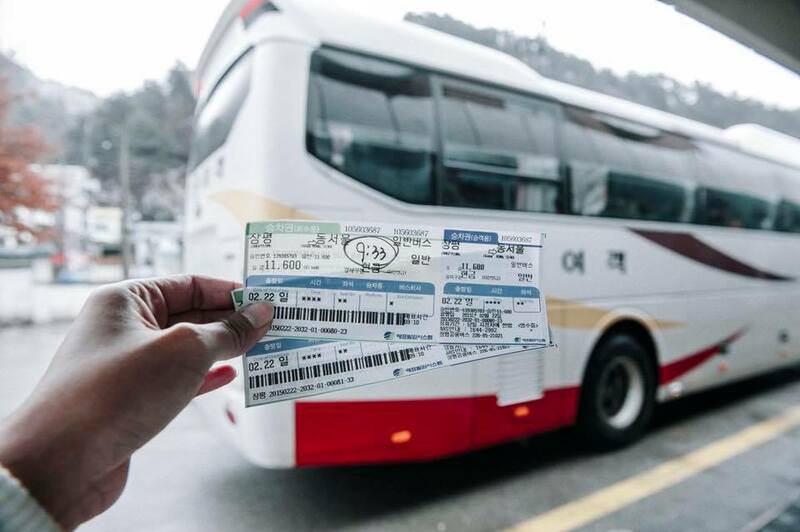 Bus fare per person was KRW11,600 one-way and it will stop at Jangpyeong bus terminal after 3 hours journey. From here we took free shuttle bus for 30 minutes to reach Phoenix Park skiing area. While waiting for the shuttle bus, we walked to Mini mart nearby. 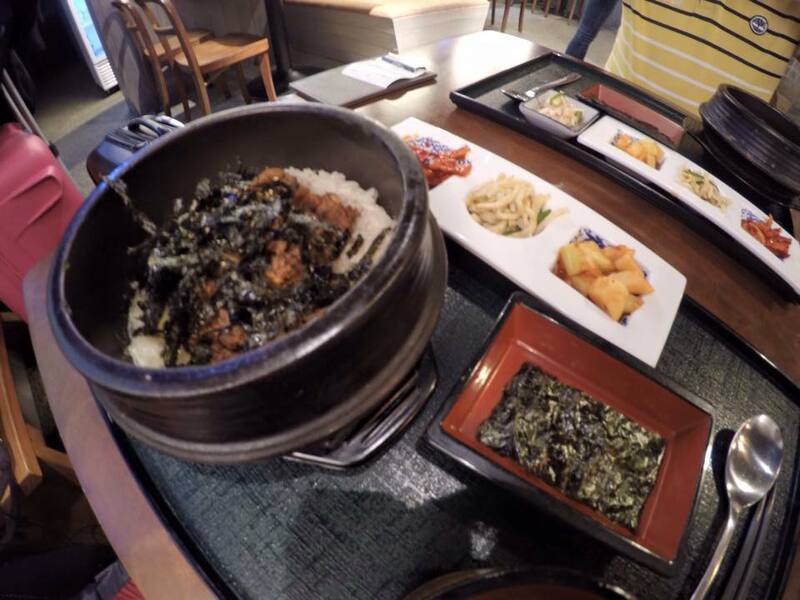 We had ready-made lunch box, rice with kimchi tuna at KRW2,500 per box (total KRW5000) and KRW10,000 coffee. This is the cheapest way to fill up your stomach. While waiting for our guesthouse host to pick up us from Phoenix Park, we went to several ski shop to survey about ski lesson and rental equipments. We found 1 which was very reasonable price. I would highly recommended for those who are looking for Ski lesson and equipments rental. The price is lowest from among other shops around and phoenix ski park. We got ski lesson for 2 person at KRW120,000. 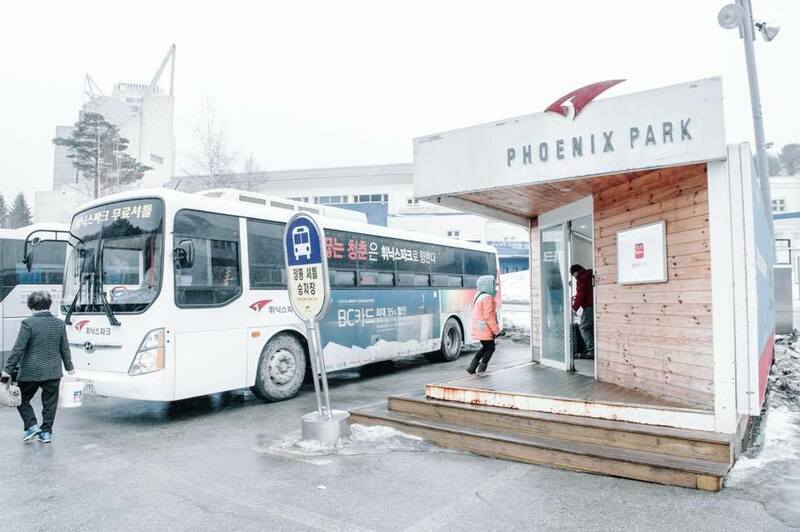 and ski equipment rental for KRW10,000 1 person for 4 hours and lift pass KRW35,000 per person (40% discount). Our guesthouse host suppose to pick us at Phoenix Park but he never came. The ski shop owner was so kind to sent us to our guesthouse, 5 km from the shop. It’s also easy for him to fetch us on the next day for the ski lesson since he knew where we stayed. The host welcome us in front of the guesthouse and handed over the room key. The guesthouse name was Beautiful Days Pension, we stayed for 3 nights at MYR877. 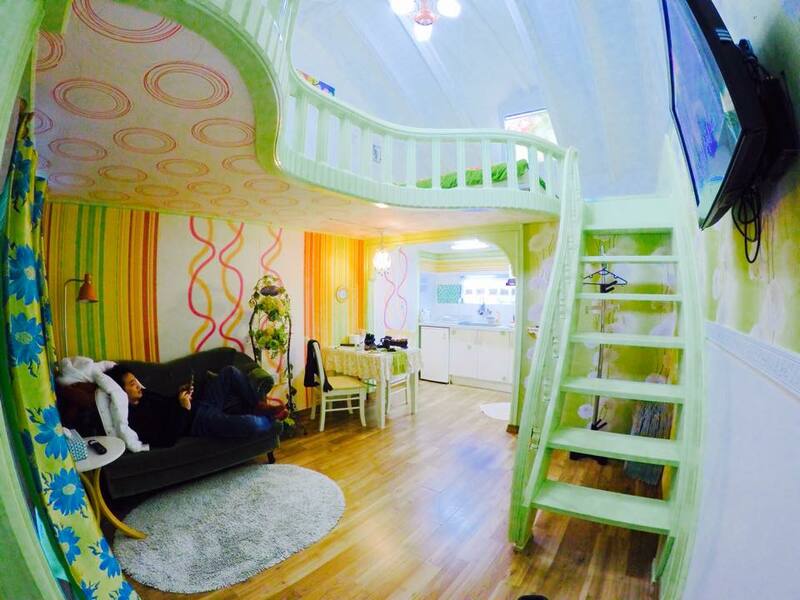 Very nice room and big. The room equipped with kitchen stove and utensil, water heater, heating, flat TV, sofa and dining table. I fell in love with this room, really want to stay there longer. What is not good about this place was the distance to the main road, we need to walk about 15 minutes but after awhile, we get use to it and never feel tired walking. Our first night here, we walked to the nearest restaurant for dinner. We had beef soup at KRW18,000 for 2 sets. After dinner we stopped at Family Mart to buy grocery and snacks. We spent KRW16,000 there for our breakfast stocks. Then we walked back to guesthouse and rest early before our exciting activity tomorrow!. Woke up early and prepare some breakfast before for long day today. Snowland, the ski shop from yesterday came to pick up us at 8:30AM for ski lesson. Very excited and this was our second time skiing activity after Japan trip back in 2014. It was full-day activity, we had our quick lunch at the Phoenix Ski area in between skiing lesson and the rest of the day. Very unfortunate, that I’ve lost my Gopro during skiing. All my photos & videos gone just like that. We did report to the Ski resort reception, but until now no news. Tonight, we had Spicy korean chicken at restaurant nearby. After the long day, we back to guesthouse and rest. There are no nightlife activity around here too, so lepaking at the house and sleep early. 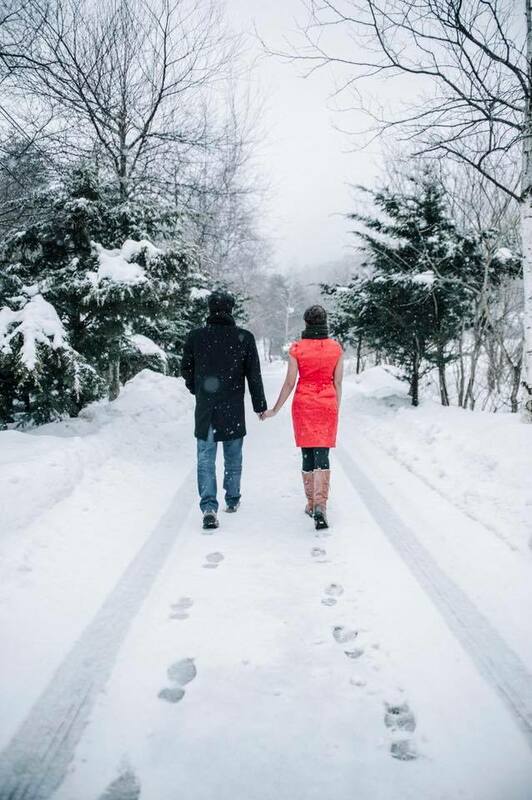 Today we spent full day for couple photography around the guesthouse area. Very lucky today, early morning snowing until evening. At night I prepare own dinner at the guesthouse since the next day we will leave the place, so need to finish all the grocery stocks. Woke up early morning to catch bus going back to Seoul. The host sent us to Phoenix Park and from there we took the shuttle bas to Jangpyeong bus terminal. 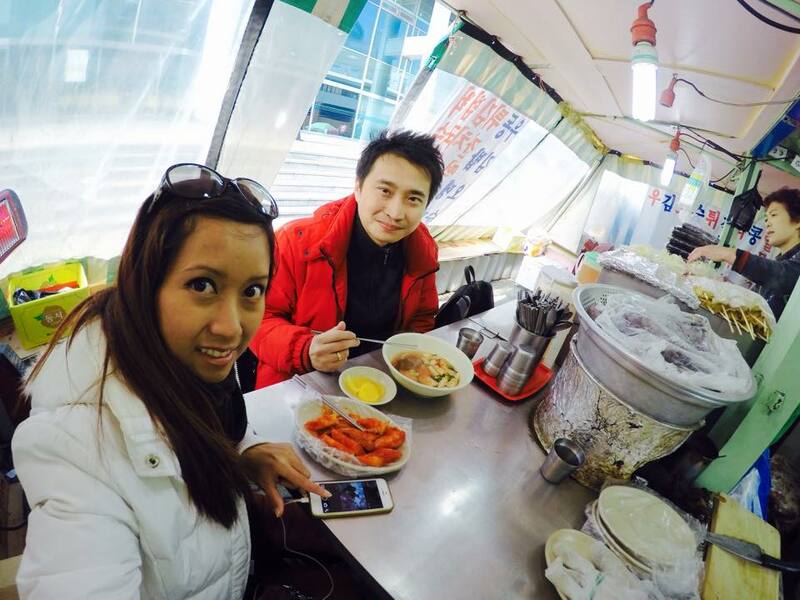 Once we arrived Seoul, we spent the day shopping, strolling and eating at Gangnam Street. I love this place very much, at the junction, you will find the Gangnam Style Oppa stage. Just simply press the music button then you can dance like Psy!. 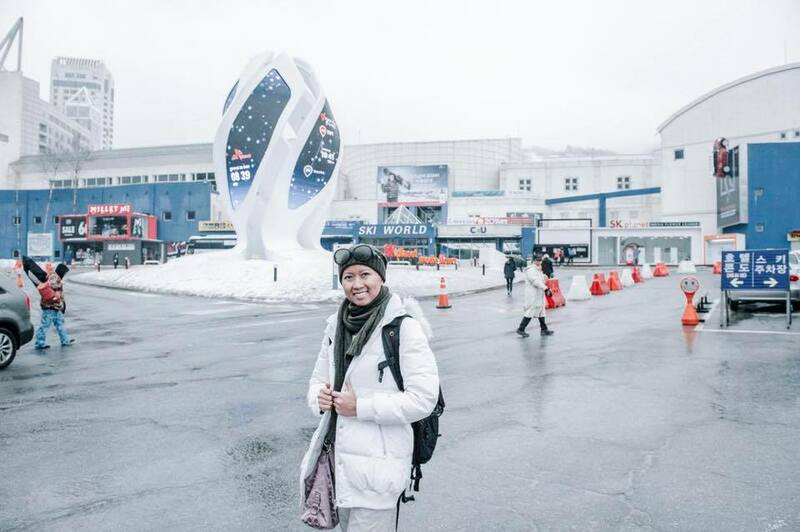 Today, we went to Digital store to buy Gopro again since I lost it at skiing resort few days ago. The store located just opposite the bus station, (강변역) Techno Mart 2nd floor A-29 Pro Digital. After that, we took a bus to Gimpo Airport to catch a flight to Jeju Island. We flew to Jeju Island via Air Busan. Air fare 2 person at KRW105,700 (MYR400) one-way. Departure time 2:30pm → Arrived at Jeju Airport 3:30pm. Will continue at another page of Jeju Island trip. See ya!